My name is Lindsey Scheltema. If you are unfamiliar with who I am, allow me to introduce myself. 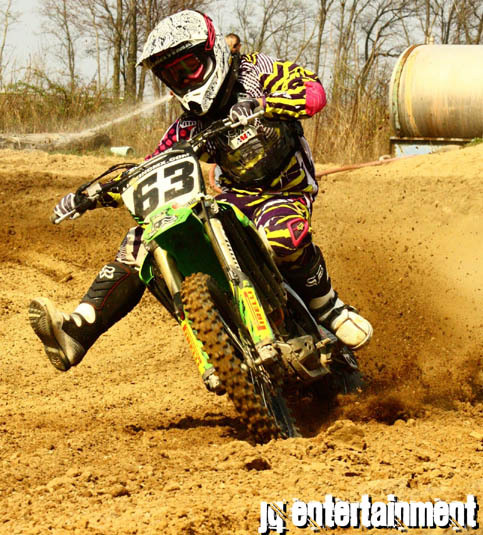 I am 21 years young and a professional Women’s motocross racer. I started riding when I was 10, and everything escalated from there. I got my pro license in 2006, raced a couple of races the 2006 season; but injuries prevented me from finishing out the season. I raced a couple of WMA races again in 2009; but injuries had different plans for me again. This year, in 2010, I am changing the ways of my past. 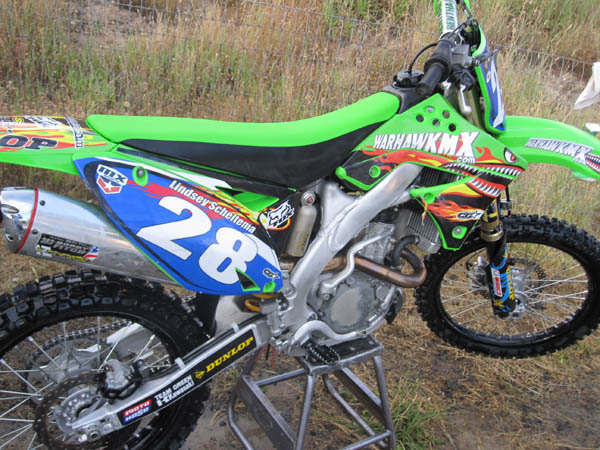 I will be competing in the entire 2010 WMX championships series; we just got home from the first round at Hangtown, in California. I am currently employed at Feld Motorsports. I worked for them seasonally as Miss Arenacross in the 2009 season, and moved into a full time position as the Arenacross event coordinator at the beginning of the year. I work with a lot of the racers and their families, making sure everything runs smoothly for the upcoming events. We just got done planning the 2010 Amateur National Arenacross Championships; which were held at the Sam Boyd Stadium the day after the Supercross finals. This was an extremely successful event, especially since it was our first year. The racing was awesome, and I enjoyed being a part of the action. I am also enrolled full time as a student at Franklin University. I have one year left before I receive my BA in Public Relations, and my minor in Organizational Communication. I love being in school. After high school, my interest kicked in huge, and I have a lot of plans for myself educationally. After I have completed this program, I plan on enrolling in another University to obtain my Major in Spanish. I would also like to also get my massage therapy license. I’m sure you get the point, I love to learn! This weekend was crazy, Hangtown. First of all I have to give a huge shout out and thank you to Bobby and Alyssa Fitch who supported me and helped make this 2010 season complete by letting me borrow a bike for the first couple of rounds! I am so grateful and appreciative for this opportunity. I am very excited, and I appreciate their willingness to help me out! My family picked me up from the airport Friday morning. We went to the track, brought the bike through tech and walked the track. It was cool because the soil has drastically changed from the last time I have raced there. They mixed in rice with the original dirt! How crazy! It made the track loamier, and it felt like a crunchy pillow! It made the dirt rut up real nice.